I want a landing page with an image and if you click 'like' you'll see a form. Or can I also have this landing page with image including the 'like' action with static html? I would recommend using the Facebook Like Me First widget. This would ask your form submitter to like your page first before they can continue. 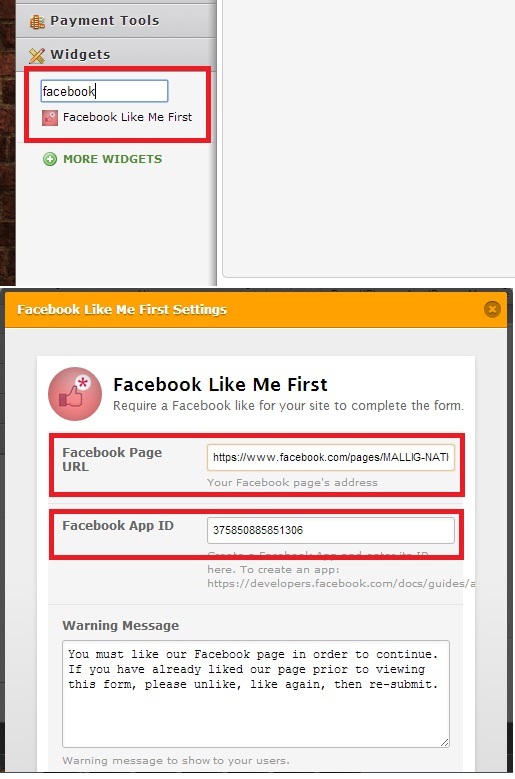 You will be needing a Facebook App ID, you can create one http://developers.facebook.com if you don't have one yet. Hey, I'm using PageYourself too, I'm wondering, why don't you use the Fangate? Isn't it exactly what you need ? Is your question directed at @Bluestone_Sales? If not - Perhaps you could clarify your question so that we can assist further.